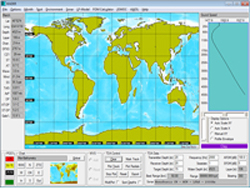 Ocean Acoustic Developments Ltd (OAD) was started by its current Directors, John and Diane Hodgson, in 1991 when they identified a requirement for a reliable and user friendly range prediction software package. 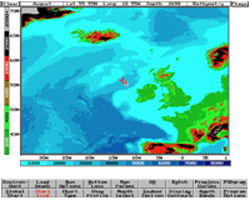 Both ex-RN, they used their expertise to create WADER, an Ocean Information System which provided mainly bathymetric and water column data using colour coded graphic displays. The original system was produced using Borland Turbo Pascal with code for each button, screen and gadget ‘hand crafted’. 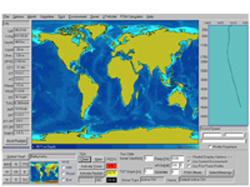 At that time, the resultant environmental data was used to feed the HODGSON Model, a sonar range prediction model authored by John. Since that time, OAD has developed the original WADER system to incorporate a dedicated low frequency model, significantly enhancing its application and scope. This generated a spin-off to the program – HARCAM – which was developed for research use. As technology has evolved, so has the software – the WADER V8 series is the latest iteration. Now in 2019, Ocean Acoustic Developments are celebrating over 25 years of trading as a Limited Company. 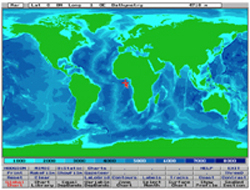 During this time, the company has become an established name in the underwater acoustics sector providing training internationally and acoustic modelling software which has been exported to over 20 countries around the world. We strive to continuously push the boundaries of software development and constantly adapt, update and evaluate our software to better meet the developing needs of our international customer base.